From June 6 to 9, 2011, the Blechexpo, which has been located at the New Trade Fair Centre Stuttgart since 2007, will take place for the tenth time. In the recent years, the event developed to become an internationally leading trade fair for sheet metal processing, and it can be considered as an important meeting point for this industry right in the main European market. As a leading manufacturer in the area of waterjet cutting, KMT Waterjet can once again be found among the fair’s exhibitors. The company can be visited in hall 7, stand 7412. At the KMT fair booth, the visitors can inform themselves thoroughly about the proved and tested 6,200 bar technology; a respective pump will be presented on the booth. The fact that the 6,200 bar pressure range meanwhile has become the superior standard will be impressively demonstrated on various booths of our partner companies. There, the visitors can convince themselves of the impact of the high operating pressure on the cutting result. Those machine operators who already work at 6,200 bar appreciate the significant increase in quality and cutting speed compared to cutting at 4.100 bar. However, waterjet cutting has not reached its limits yet: Interested visitors should ask about KMT’s plans for the future! The operation of an efficient waterjet cutting system requires as few downtimes as possible because every halt of the system due to faults of its components prevents turnover from being generated. However, downtimes due to repair and maintenance cannot be avoided completely. Therefore, it is crucial that faults are identified and eliminated quickly. KMT Waterjet knows about this necessity and has a solution for operators of waterjet cutting systems: As optional equipment for its high pressure pumps, the company offers the remote online diagnostics tool REMOTELINE. KMT’s REMOTELINE is a web-based application which enables the user to check the pump’s operating status from every computer with internet connection. It grants access to the pump’s operating data thus allowing for an online monitoring of all relevant parameters. The values are recorded to be able to create a detailed overview of the pump’s internal performance in case of a defect. The data can be logged either continuously or dependent on a certain event to facilitate the fault diagnostics. Any event can be communicated directly to the user via e-mail or SMS message. In this way, the operator knows what is going on with the high pressure pump – at any time and from any place. The possibility of an accurate and quick online diagnosis also helps saving money when it comes to service and repair. 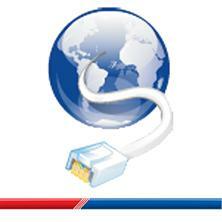 Using the REMOTELINE tool, the machine operator has the possibility to easily contact KMT’s support network. After having received the electronic approval from the system operator, a KMT service engineer can directly log on to the pump to analyze the fault. Experience has shown that in many cases this helps to avoid expensive and time-consuming service trips.